Oliver Rowland says he will take a "mature approach" into his hopes of securing an F1 seat for 2019. Williams junior Oliver Rowland insists he will avoid “breaking down doors” in his hopes to try and land a Formula 1 seat for 2019. Rowland, who claimed the 2015 Formula Renault 3.5 championship and finished third in F2 last year, has so far been unsuccessful in his bid to secure an F1 drive, though he was named Williams’ young driver this season. 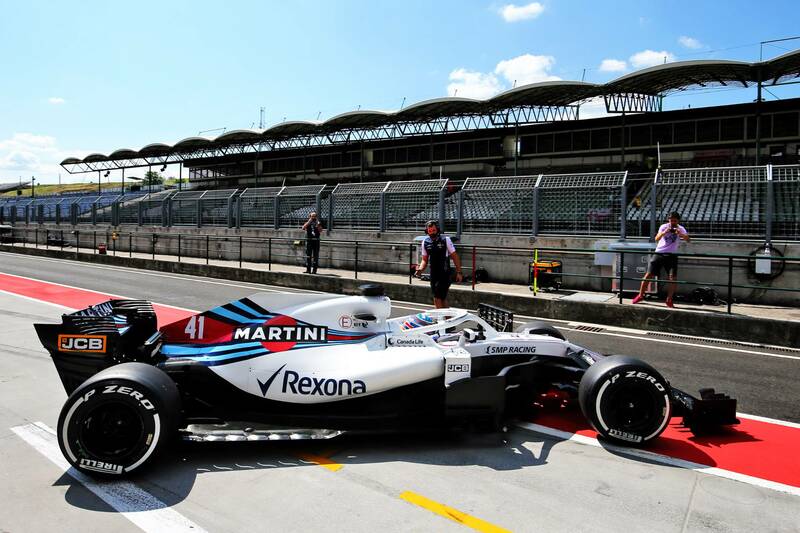 He took part in both in-season tests at Barcelona and Hungary respectively, driving the Grove-based squad’s FW41 at the Hungaroring on Tuesday, but was left frustrated by a lack of running in the afternoon session following a heavy downpour. The 25-year-old appears to have fallen down the pecking order of British hopefuls, following the rapid rises of Mercedes protege George Russell and McLaren reserve Lando Norris. “There's a lot of people knocking on the door that are quite young," Rowland acknowledged. "I'm pretty happy with where I am at the moment. Our relationship with the team is growing stronger and stronger and I'm enjoying what I'm doing back at the factory. "So, I have to keep pushing on that side and keep doing what I can for the team, and who knows, let’s where it will lead. Speculation continues to ramp up regarding driver line-ups in F1’s midfield, and while Williams has contracts in place for both its drivers, Lance Stroll has continued to be linked with a switch to Force India amid its ongoing off-track financial issues. Rowland feels any sudden moves would create “a domino effect” of drivers switching teams, which could in turn open the door for the Briton. “Williams have two drivers with contracts for next year so normally you'd say no but everybody hears the rumours," Rowland said. Rowland has no more planned outings for Williams this season but believes the post-Abu Dhabi Grand Prix test could prove to be his best opportunity to drive the car again. "We'll go back and do the simulator stuff, keep doing what I'm doing there. We're making really good progress back at the factory and things are looking good and hopefully I'll attend a few more races. "Who knows, there's a test at the end of the year in Abu Dhabi and I'll be pushing towards that and whatever comes up."